Could A Pop-Up Shop Be The Business Practice You Need? If you’re a little nervous about getting into business, don’t worry, you’re not alone on that matter. There’s all kinds of challenges and risks you can feel you’re not ready for, and seeing as the only way out of them is through, you’re not feeling confident about your chances. But that’s where something like a pop-up shop could step in, and allow you a bit of practice before you settle down long term. So if you’ve got ideas for a company, but absolutely no way to execute these plans because of some innate anxiety, now’s the chance to expose your business to the world on your terms in the short term. You see, a pop-up shop allows you to test the waters before going permanent, which might just be a mistake. And considering you’ve got a deadline for when the shop needs to pop down again, you’re going to be fully committed to the goal of seeing whether or not your brand is needed in the current economy. Thankfully, it’s also easy to move a pop-up shop to another physical location, to test out those customers as well! 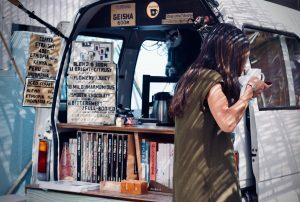 When you’ve got a pop-up shop on your hands, you’re going to be able to dismantle it whenever you want, and that affords you a lot more control over your company and how it operates, compared to any other kind of traditional business. Maybe just dipping your toe in the water was the best business idea you could have ever had; it’s great way to bulk out a sales pitch when you’re trying to interest some investors. Not to mention, a pop up shop is a lot easier and cheaper to set up than renting an office and shop front in the long term, fully wiring and furnishing it, and then paying for the further daily running costs day in and day out. You can very easily employ some steel building kits in your pop-up plans, which can be erected anywhere and everywhere, removing your need to wait for the perfect location to become available as well! Overall, running a pop-up shop could just be the secret link between your business plan and fully setting up shop – you’ve got the chance to beta test your product or service, on real people with real expectations, and you can build yourself the perfect marketing persona as a result!